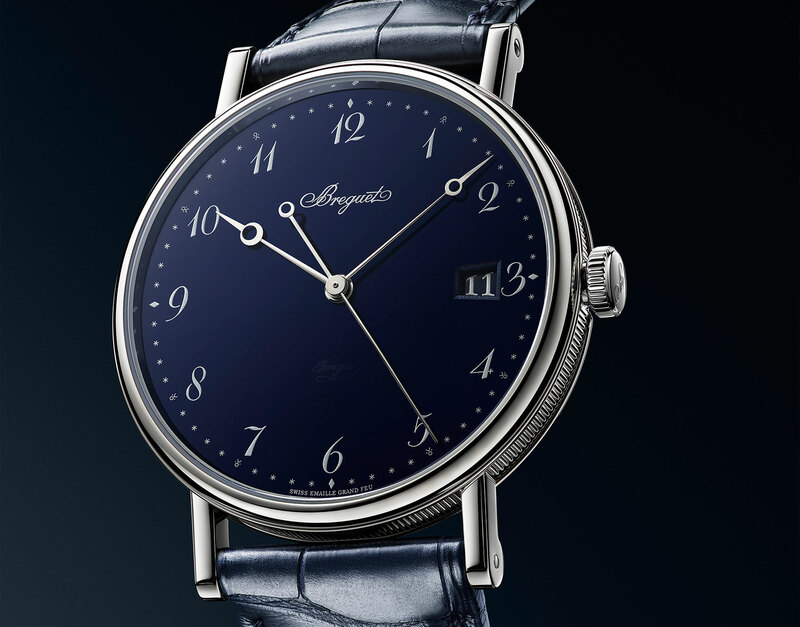 If there was the platonic ideal of a dress watch, I’m willing to bet that it would look a lot like Breguet’s Classique: simple, elegant, restrained. But for all that, it’s a watch full of subtle nuance and fine details — details that separate it from the rest of the pack. 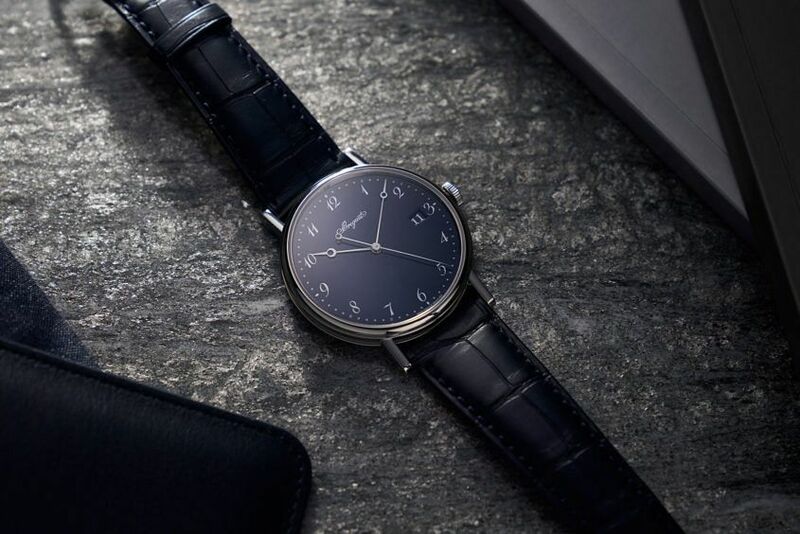 The white gold case, fluted around the middle, is perfectly circular, something accentuated by that rounded, polished bezel, and the abrupt angularity of the welded, rounded lugs. Inside this 38mm case lies the Cal. 777Q, an automatic equipped — as are all Breguet’s pieces — with silicon technology where it counts. Power reserve is decent at 55 hours, and the beat rate is 4Hz. Really, though, the action here is on the dial. There’s no engine-turned guilloché, but instead you get Grand Feu of the deepest, darkest blue. There’s quite a knack to these dials, not just because the firing at over 800 degrees Celsius is inherently risky, but also because the particular shade of blue has been chosen to match the hue of Breguet’s traditional heat-blued hands. Hands that, for the sake of legibility, aren’t in evidence here. We still get that Breguet shape, but here they’re in rhodium-plated steel for that extra pop. The numerals, along with the numerous other dial details, are oversized and in silver. And not to give the game away, but there’s a secret signature on the bottom half of the dial (can you spot it?). Bonus points for a colour-and-font matched date window. 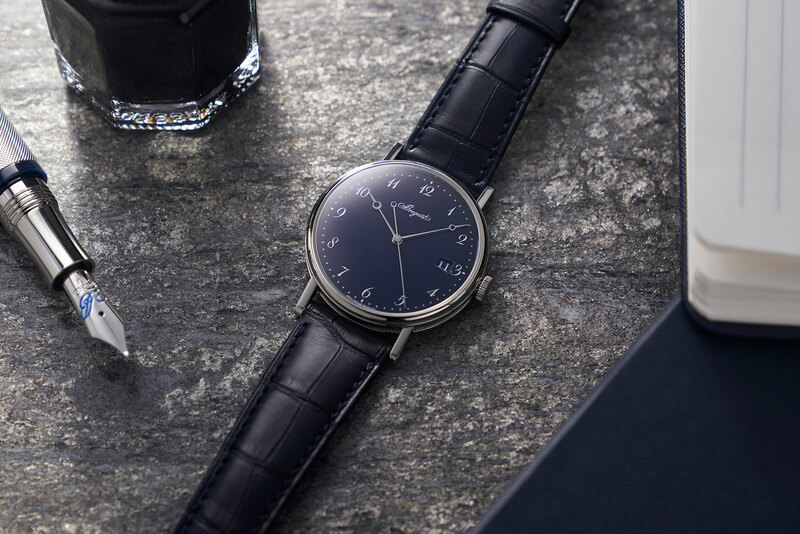 With the addition of this Grand Feu blue dial, the Classique 5177 takes on a more modern style. Perfect not just for dress, but also for daily wear.